This Policy is applicable to this and certain other SCENAR Excel Training general informational web/mobile sites, but not necessarily all SCENAR Excel Training web/mobile sites or web channels, for which special terms and conditions may apply as indicated. All SCENAR Excel Training sites to which this Policy is applicable are collectively referred to as this “site”. Note that special use terms, or site or page specific terms (referred to as “special terms”), may apply to certain pages/services on this site, but the applicability of any such special terms will be expressly indicated. In the event of any inconsistency between any special terms and this Policy, the applicable special terms will prevail over the terms of this Policy. In general, most of this site’s pages are provided for informational purposes and you will be able to use this site without telling SCENAR Excel Training who you are or providing SCENAR Excel Training with any personal data about yourself. There are times, however, when in connection with your use of this site SCENAR Excel Training may need information about you. To respond to your questions, fulfil your requests or manage interactive customer programs, it may be necessary to ask for or obtain personal data. If you provide us with any personal data, we may use it to respond to your requests, customise your user experience with us, determine your satisfaction with SCENAR Excel Training products and/or services or contact you via mail, e-mail, mobile message or phone. Also, where expressly authorised or permitted by you, and acting in accordance with any local laws, we may use such means to inform you of new products, services or promotions we may offer. By providing information to SCENAR Excel Training through this site, you acknowledge and consent to the collection, use and disclosure of personally identifying information of the type and for the limited purposes described in this Policy. You expressly accept and give your consent that your personal data obtained in connection with your use of this site may be transferred, if permitted by applicable local legislation, across international borders to server locations supporting this site (including but not limited to transfers from those locations back to the country of your location) for operating and developing this site and SCENAR Excel Training services, including transfers to SCENAR Excel Training subcontractors or agents, as mentioned below, who perform tasks related to this site, or Fresh Start Health services, or for the purposes of storing the data in relevant databases, which may be located in the United Kingdom or in any other country where SCENAR Excel Training has operations. If you place an order for a product, request a service or submit content to this site, we may need to contact you for additional information required to process or fulfill your order and/or request. Unless compelled by applicable law or administrative or judicial order, we will not provide this information to a third party without your permission, except as necessary to process your order, fulfill your requests, manage interactive customer programs or, if you are a corporate user, enable administration of access and usage of this site by authorised personnel in your organisation. Because SCENAR Excel Training is committed to protecting your privacy, SCENAR Excel Training does not engage in the practice of selling or trading personal data to other companies for promotional purposes. From time to time, information may be placed on your computer to improve this site and SCENAR Excel Training services for you. This information is commonly referred to as a “cookie”, which many websites use. Cookies are pieces of data stored on your computer’s hard drive or browser, and not on this site. They typically enable collection of certain information about your computer, including your internet protocol address, your computer’s operating system, your browser type and the address of any referring sites. SCENAR Excel Training has endevoured to take commercially reasonable measures to prevent unauthorised access to and improper use of your personal data submitted toSCENAR Excel Training via your use of this site. For example, SCENAR Excel Training uses encryption technology when collecting financial personal data such as credit card information. If this site supports on-line transactions, it will use an industry standard security measure, such as the one available through “Secure Sockets Layer” (“SSL”), to protect the confidentiality and security of online transactions. If used, industry standard security measures like SSL authentication ensure that credit card information, as well as other personal data submitted as part of the buying process, is reasonably safe from third party interception. No debit or credit card details are stored by SCENAR Excel Training during the process of a transaction. While there are always risks associated with providing personal data, whether in person, by phone or via the internet or other technologies, and no system of technology is completely safe or “tamper”/”hacker” proof, SCENAR Excel Training has endevoured to take reasonable precautions which are appropriate to the nature of the information to prevent and minimise such risks in connection with your use of this site. SCENAR Excel Training will on its own initiative, or at your request, free of charge, replenish, rectify or erase any incomplete, inaccurate or outdated personal data retained by SCENAR Excel Training in connection with the operation of this site. Please consult the contact information posted below on this page, if any, or elsewhere on this site to determine how best to contact SCENAR Excel Training to update and/or review your personal data and/or opt out of receiving marketing communications from SCENAR Excel Training. SCENAR Excel Training’s policy is to request that “Minors” (the age of Minors is determined by local law where you reside) do not make purchases or engage in other legal acts on this site without the consent of a parent or legal guardian, unless permitted by applicable local law. This site may contain links to other sites. Please note that SCENAR Excel Training is not responsible for the privacy practices or contents of any other sites. We recommend that you read the privacy policies of such sites. SCENAR Excel Training may from time to time change this Policy or change, modify or withdraw access to this site at any time with or without notice. However, if this Policy is changed in a material, adverse way, SCENAR Excel Training will post a notice advising of such change at the beginning of this Policy and on this site’s home page for 30 days. We recommend that you re-visit this Policy from time to time to learn of any such changes to this Policy. The following privacy notice outlines how SCENAR Excel Training collects, uses, protects and transfers your personal data. 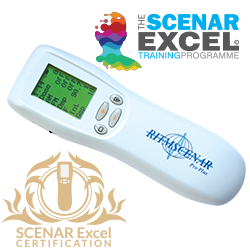 SCENAR Excel Training is a pain relief therapy centre that provides services including massage treatments Advanced and pain relief. The data protection officer/data owner for the organisation is Steve Sapseid. You can contact the data protection officer/data owner by sending an email to steve@scenartraining.co.uk or writing to Steve Sapseid, Fresh Start Health, Unit 15, Northleigh Farm, Main Road, Birdham, Chichester, West Sussex PO20 7BY. · Phone number takes your privacy seriously and we will never sell or rent your personal data to any third-party. Sharing of your data and direct marketing activities are only carried out with your express consent, which you are free to withdraw at any time. We need to obtain and process your personal data to provide you with our products, services and treatments and to fulfill our business and legal obligations. We will never collect any personal information from you that we do not need or retain any data that is no longer necessary for the purposes specified in this notice. Where we request sensitive personal data from you (i.e. health or medical data), the reason(s) for the request will be clearly given along with the purposes of the processing. Explicit consent through a signature will always be required for us to obtain and process your health information. SCENAR Excel Training is part of Fresh Start Health. Fresh Start Health, Unit 15, Northleigh Farm, Main Road, Birdham, Chichester, West Sussex PO20 7BY are the data controller and processes your personal information for the purposes laid out in this privacy notice. Your personal data is processed to: · Collect specific personal data (name, address, email, contact number, DOB) that is required to enter into a contract to sell a product or service. · Engage in communication with you including confirmation and reminders of appointments, and requests to cancel or change bookings. Collect Health information to perform the agreed services appropriately, and potentially highlight areas that products and services may cause issues to clients because of their health. Ensure a safe service and provide industry standard advice. Select relevant offers, promotions and information for you. Estimate the number of customers we have. Hold personal data that is required by law or to respond to legal process. Hold for insurance purposes. Store customer records. Where you have provided consent for us to contact you as part of our marketing services, you have the right to modify or withdraw your consent at any time by using the unsubscribe option accompanied with all of our direct marketing or by contacting the SCENAR Excel Training Data Officer. You also have the right: To be informed of how your personal data will be used before it is collected. To access your personal data personal data and to information on how your information is used after it has been gathered. To have personal data corrected if it is incomplete, inaccurate or out-of-date. To request the removal or deletion of personal data where there is no compelling reason for its continued processing. To restrict processing, to ‘block’ processing of your personal data. To data portability, having your data moved, copied or transferred from Fresh Start Health to another organisation in an easily readable format. To object to direct marketing from us. Special categories of personal data collected Health questions are asked in many of our consent forms to potentially highlight treatments that may have a negative effect on your health due to medication you are taking or a condition you have. SCENAR Excel Training asks for consent prior to gathering and processing this information. At any time after giving consent, you can withdraw your consent, subject to legal, insurance and contractual restrictions (see more on ‘your rights as an individual’). Your privacy is very important to us and we only use this information for determining your suitability for the treatment. Your personal data is collected when you provide it to us through our website, over the phone, in Fresh Start Health clinic, by email, social media, in writing or any other means by which you provide it to us. Information is stored paper record keeping. SCENAR Excel Training do not share your personal information with any third-party without your prior consent, other than those already disclosed in this privacy notice or as part of our legal obligations under the relevant data protection laws. SCENAR Excel Training retains your personal data for as long as necessary to provide you with our services as our client. SCENAR Excel Training are required under tax laws to keep your personal data for a minimum of 7 years. Health and Safety records will be retained for 10 years and where we have your consent for marketing purposes, we will retain the minimum required data until you notify us that you no longer wish to receive such information. The criteria for which we would continue to process your personal information includes: Where there is a legal basis, obligation or legitimate interest to continuing processing your personal information. Where processing is necessary for the establishment, exercise or defence of legal claims. Consequences of not providing your personal information to Fresh Start Health. 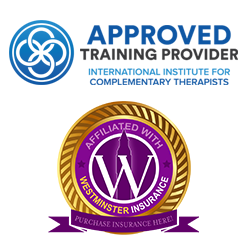 In the event that you want to purchase a product or service from Fresh Start Health, certain personal information is required to enter into a contract with you. SCENAR Excel Training will not be able to enter into a contract with you to fulfil an attempt to purchase a product or service if you do not provide your personal information. As noted in this privacy statement, we are processing your personal data to comply with legal and statutory obligations and in the performance of a contract. You can always choose not to provide personal information; however, we will be unable to provide certain products, services and treatments in these instances. Appropriate measures are taken to protect your personal data from access from unauthorized persons or inappropriate access, internal or external. Any paper files recording your personal data are held in a locked filing cabinet or safe which can only be accessed by authorised personnel in the clinic. The SCENAR Excel Training Website uses Google Analytics, a web analysis service provided by Google. Inc. (“Google”). The information generated by the cookie about your use of the web site (including your IP address) will be transmitted to and stored by Google on servers in Dublin, Ireland. Google will use this anonymous information for the purpose of evaluating your use of the website, compiling reports on website activity for website operators and providing other services relating to website activity and internet usage. By using this Web Site you consent to the processing of data about you by Google in the manner and for the purposes set out above. Cookies are a common Internet technology that assign a unique identification to your computer and store the detail on your computer via a facility in the web browser. Google Analytics Cookies are used on the Fresh Start Health Web Site to collect anonymous data about your visit. They are used to keep track of the information you have given us during your visits to the site. The cookie stored on your computer is simply a numeric identifier that we use to identify you as you move around the site and so you can, where appropriate, retrieve information you have previously sent to our server. This is anonymous data as far as Fresh Start Health are concerned, and your visit data is stored with hundreds of other visit data to enable us to monitor the usage of our website and allow us to make improvements to the content. You can set your internet browser not to accept cookies, for further information visit aboutcookies.org.uk, but having this feature turned off in your browser will seriously hamper your internet browsing for nearly all websites you visit. Your visit to our website is logged by Google Analytics using a numerical identifier like 123456 and your second visit will have a different identifier. All Analytics is logging is ‘a visit’ to our website. But because your visit has this numerical identifier (123456), the new GDPR rules say that we have to inform you of this in our policy, although we do not know who you are. WHAT ABOUT LINKS ON THE FRESH START HEALTH WEBSITE? SCENAR Excel Training may periodically provide links on our site that direct to external third-party Web Sites. We have no control over the content of other sites, nor the usage of any information they may gather. We recommend that you always review the privacy policies at any third-party sites you visit, they may not follow the same policies as us.